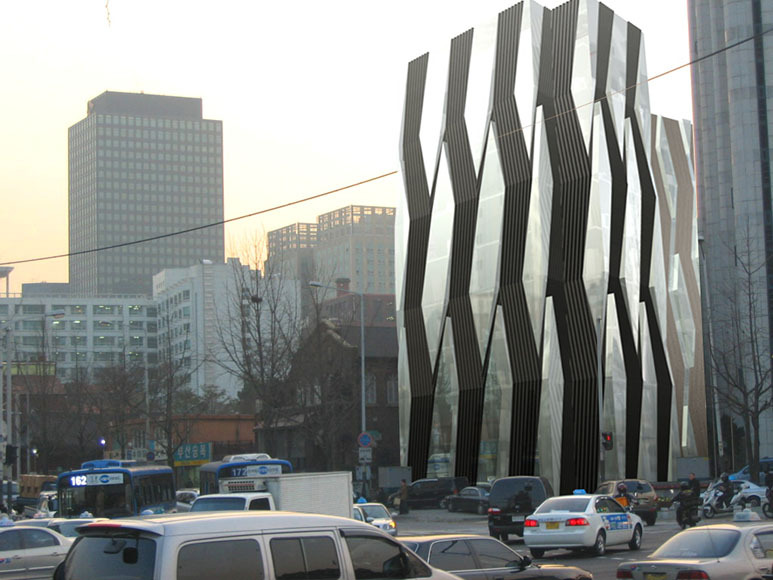 This is a preliminary design for the façade of a new administration building for a Buddhist temple in the centre of Seoul. The new building is an annex to the existing complex of historic buildings from 19th Century. 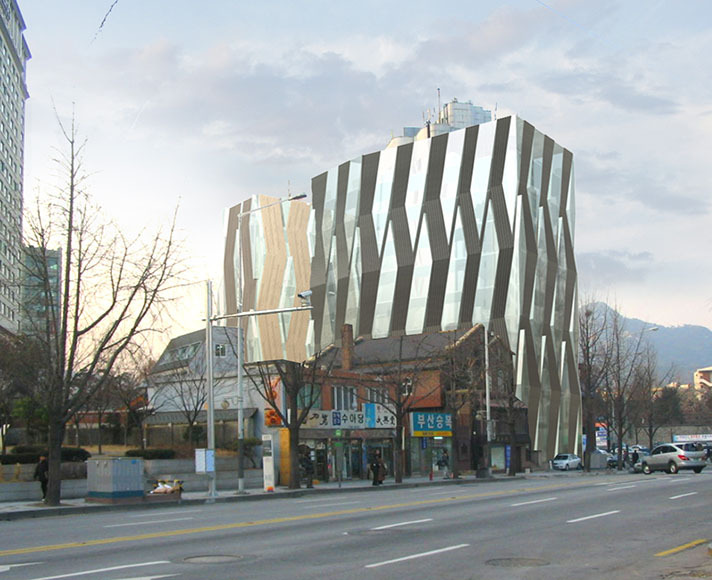 The low density of the existing complex almost feels like a sanctuary within surrounding high rise office buildings, and we envisage that the new building should reflect historic feature of this unique site as well as its own function as modern office spaces. The design of the façade emerged through rigorous engineering of its functionality; its performance is very critical to the environment of the space inside, and materiality; use of traditional material which echoes the feature of traditional buildings through contemporary technology.